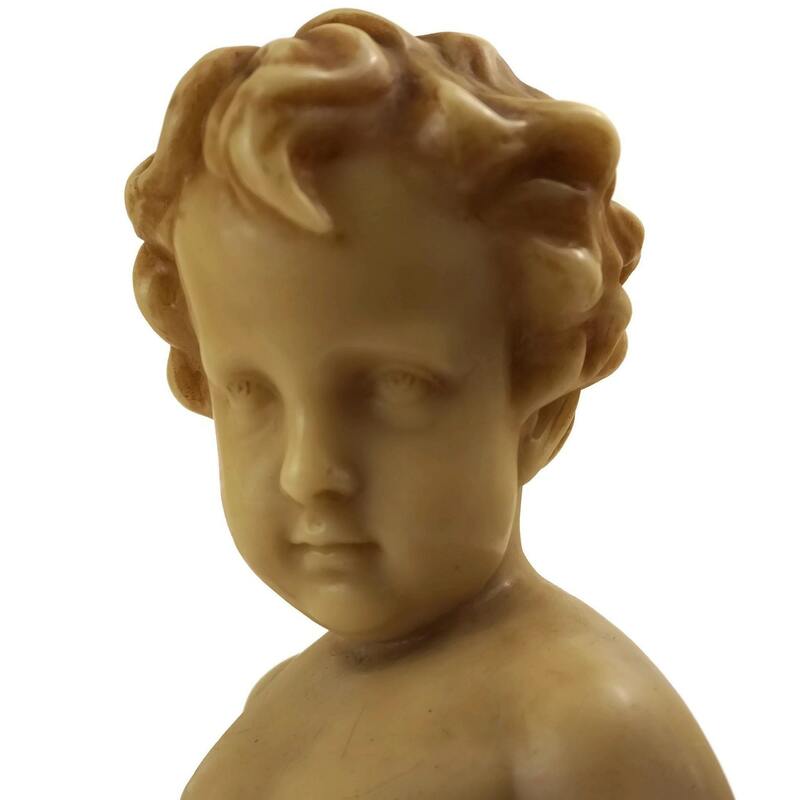 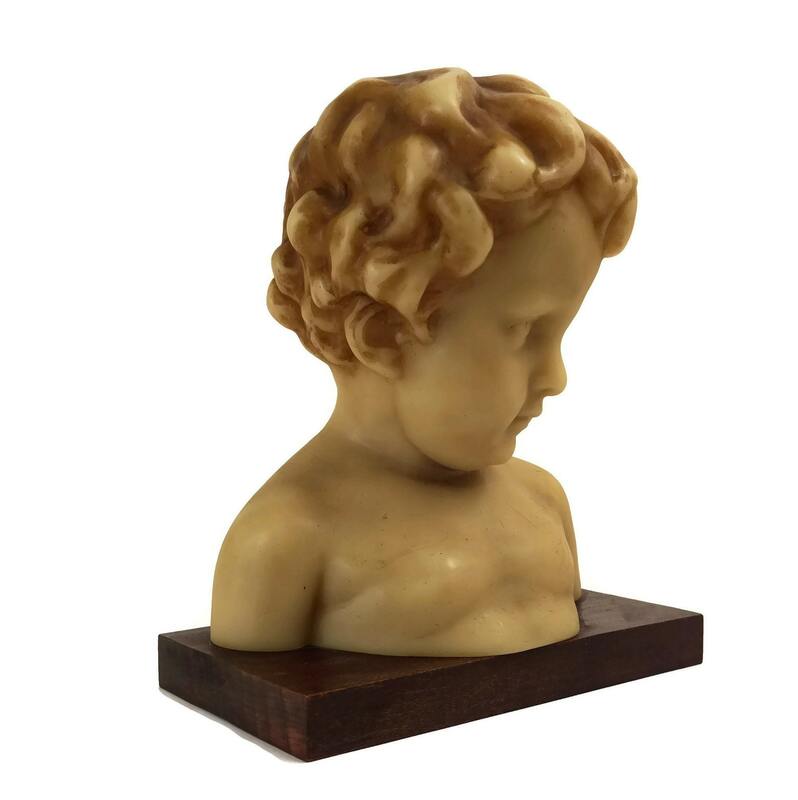 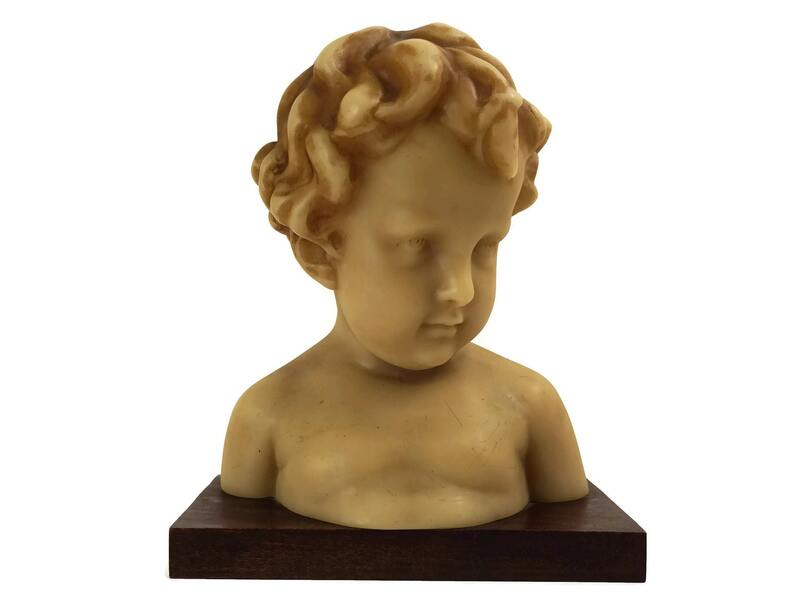 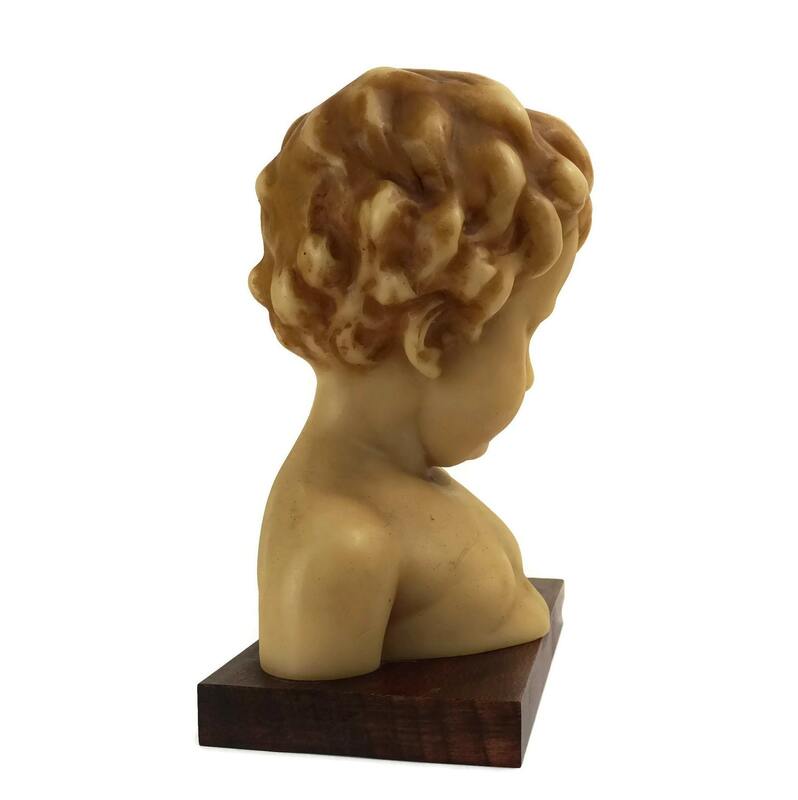 A charming vintage French child portrait bust statue created from wax. 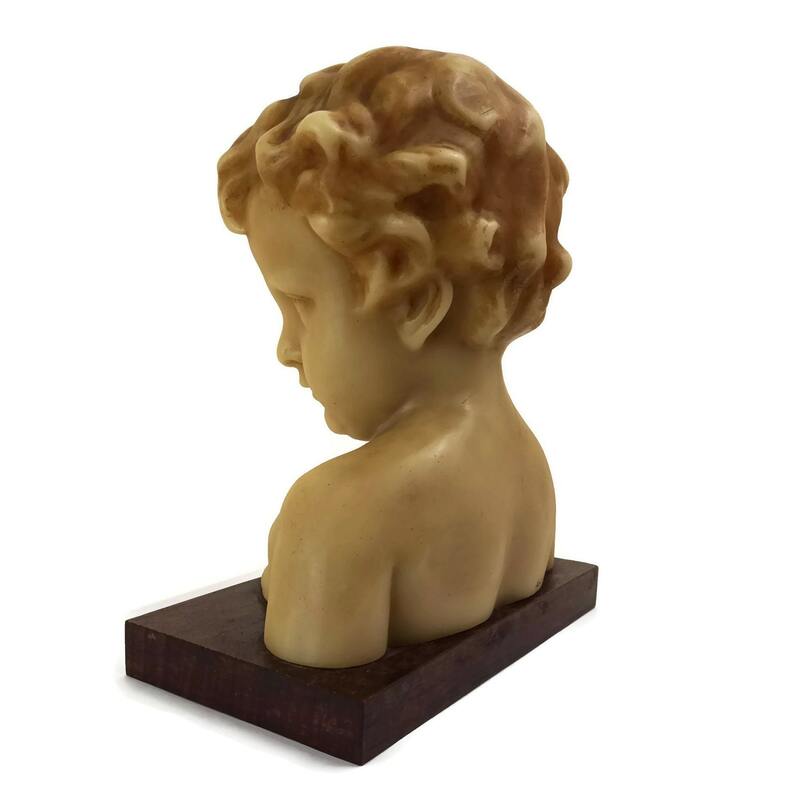 The large art figure portrays the head of a beautiful young child. 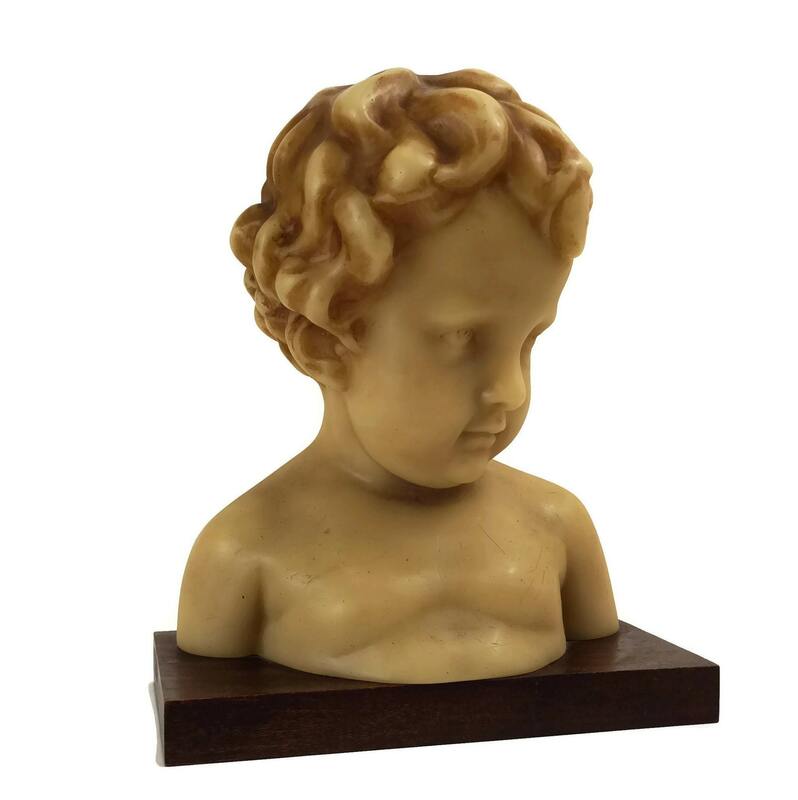 It has been finely carved from wax and rests on a wooden pedestal base. 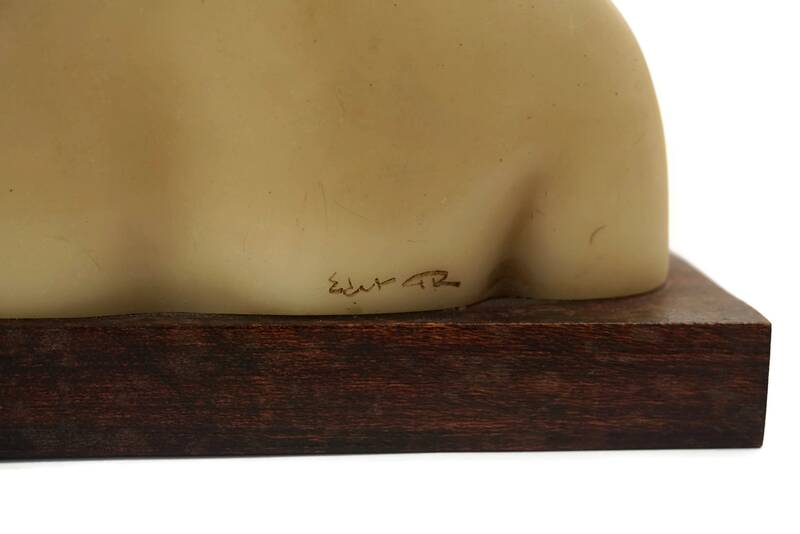 The reverse side of the figure has been signed by the artist. 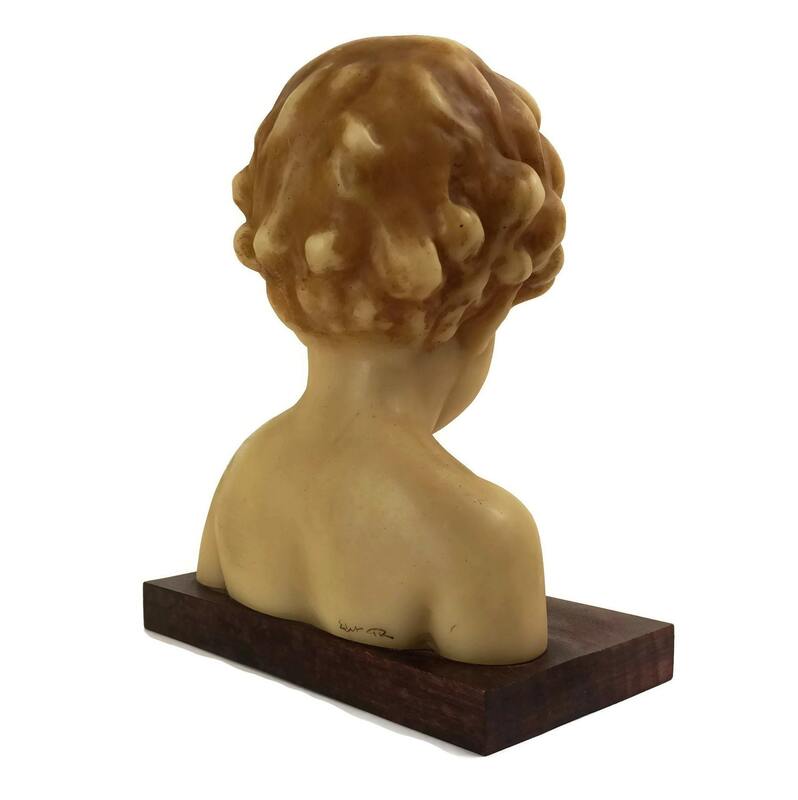 The bust will add a romantic touch to your French home decor. 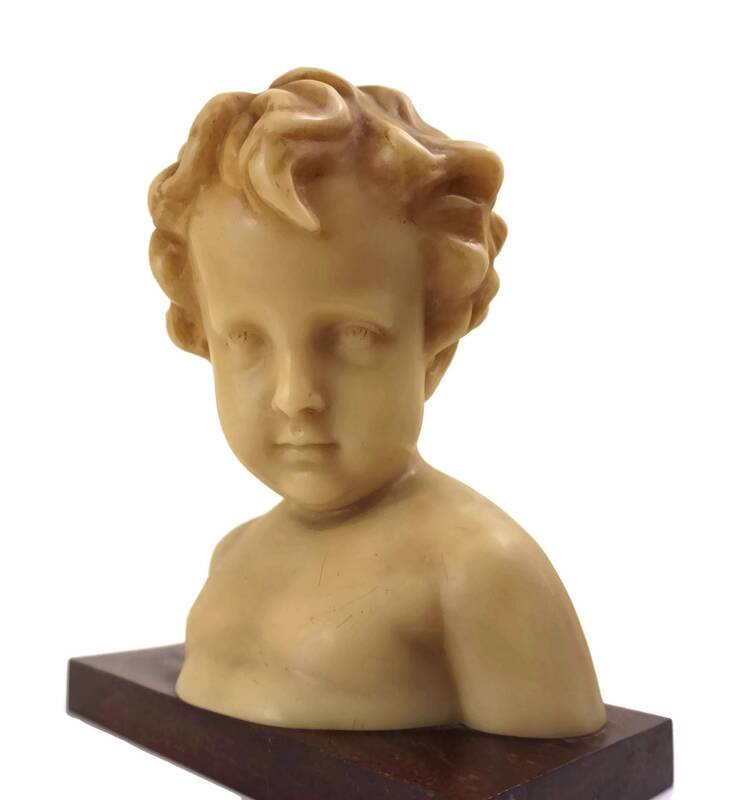 (23 cm x 19 cm x 10 cm). 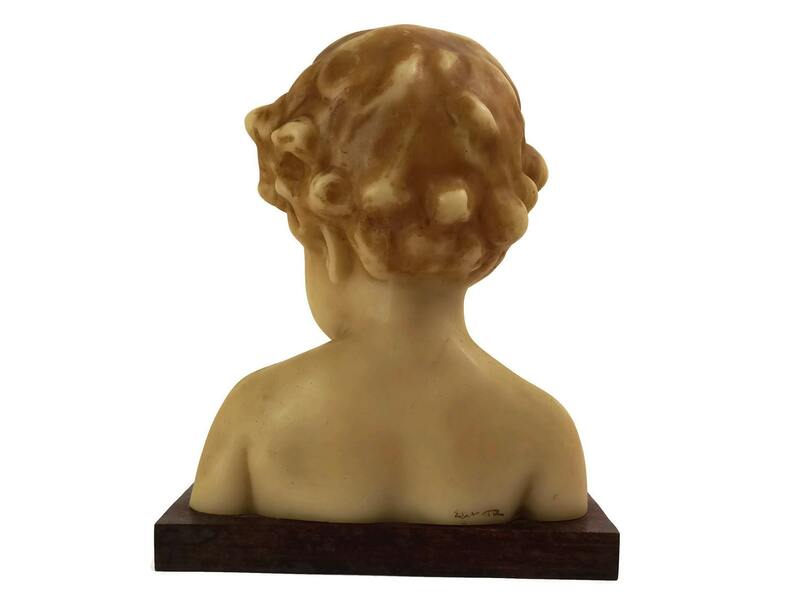 The wax bust is in very good condition with light wear.